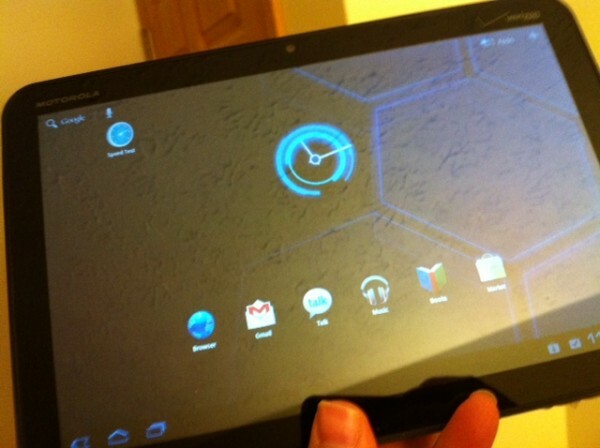 Motorola supposedly is working on a Motorola Xoom 16GB version for the Verizon Wireless network. Currently Verizon sells a 32 GB Version for $799 without a contract, $200 less with one. This rumor is believable because the 32 GB version was so popular that a 16 GB version will inevitably be even more popular. The Motorola Xoom is the closest competitor to the iPad 2, except that it currently only comes in 32GB – in either Wi-Fi or 3G upgradeable to 4G LTE. The best feature of the Motorola Xoom is that you can view Adobe Flash in the web browser. The current Motorola Xoom will be upgradeable to the Verizon 4G LTE network, which reviewers are saying is the fastest data network around. No word on what pricing could end up at, but we’re seeing WiFi-only tablets with 16GB of storage fall in around the $400-$450 range.